Nabeel Rajab interview with EA: - "I said it was up to him and that he should not use violence, but if he does, the marchers wouldn't react because violence wasn't the solution." The officer gave them five minutes to disperse. In fact, the attack began 90 seconds later. Speaking to Al Jazeera from his home soon after leaving the Sulaimaniya hospital, Rajab said that he was attacked after riot police charged the crowd he and other protesters hid in nearby homes. They waited for things to calm down before leaving to return to their own homes. "Maybe 25, 30 minutes later, I went out toward my car and they found me and attacked me," said Rajab. Multiple posts on the microblogging site featured a video of Nabeel Rajab speaking to riot police on Friday night, shortly before he was beaten and taken away. "Five, six, seven people, I don't know how many people. They were attacking from everywhere. 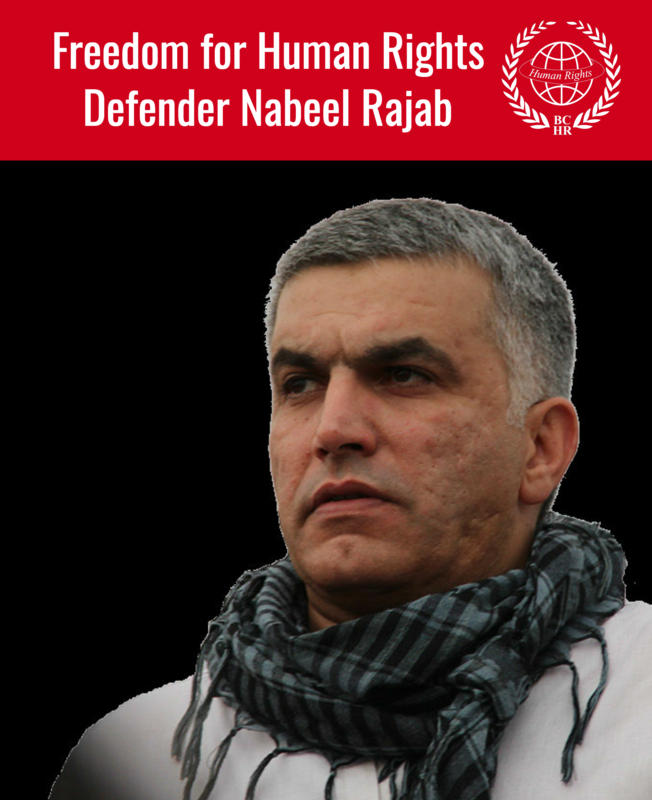 When a police officer came, I heard them say, 'We found Nabeel lying down,' and I said, 'No, I'm not lying down - you're beating me,'" Rajab said. When they started beating him, Rajab said he identified himself and said he was a rights activist. "They said, 'Are you Nabeel Rajab?' I said 'Yes', then they beat me more," pointing out that the men who beat him were Jordanians, Syrians and Pakistanis, dressed as riot police and special forces. "But the officer was Bahraini. When he saw them beating me, they stopped, because he knew it was too much and they called an ambulance." At the hospital, Rajab said he was questioned about who had assaulted him, but he brushed off the attempt to find the culprits. "I told them, 'You will not find the people who beat me. If you will find those people who killed 65 people so far, then you will find the people who beat me,'" said Rajab, referring to those who have been killed since the start of the unrest in February. 06 Jan 2012 The Gulf Centre for Human Rights, the Bahrain Centre for Human Rights and Cairo Institute for Human Rights Studies hold the authorities in Bahrain full responsibility for the life and safety of human Rights defender Nabeel Rajab. Around 9 pm, the President of Gulf Centre for Human Rights (GCHR) and Bahrain Centre for Human Rights (BCHR) Nabeel Rajab was beaten severely by the security forces in Bahrain then moved in an ambulance to Salmaniya hospital after participating in a peaceful protest in Manama earlier tonight (video of the attack on the protest). He has told his lawyer on a phone call following the attack that the policemen gathered around him suddenly and started to beat him. He informed the lawyer that while lying on the ground he was beaten all over his body and specially on his back and face and that his face injuries are serious. He has an injury just below his right eye. He was then taken to Salmanyia hospital which is still controlled by a heavy security presence since last March. Human rights activists from Bahrain Youth Society for Human Rights (BYSHR) and his lawyer Mohammed Al-Jishi who have headed immediately to the hospital were prevented from seeing him. His Son Adam Rajab saw his dad in the hospital, carried by police, he said Nabeel’s face was swollen. When Adam tried to take a picture of his dad he got pushed and his phone was taken from him. Dr Alaa AlShehabi reported from the hospital that Nabeel is surrounded by 8-10 security officers and that he is suffering from concussion, back pain and bruises to his back and face. He told Dr Alaa that he was attacked by a group of police officers with sticks, he was kicked, punched & beaten all over his body and especially on the face. 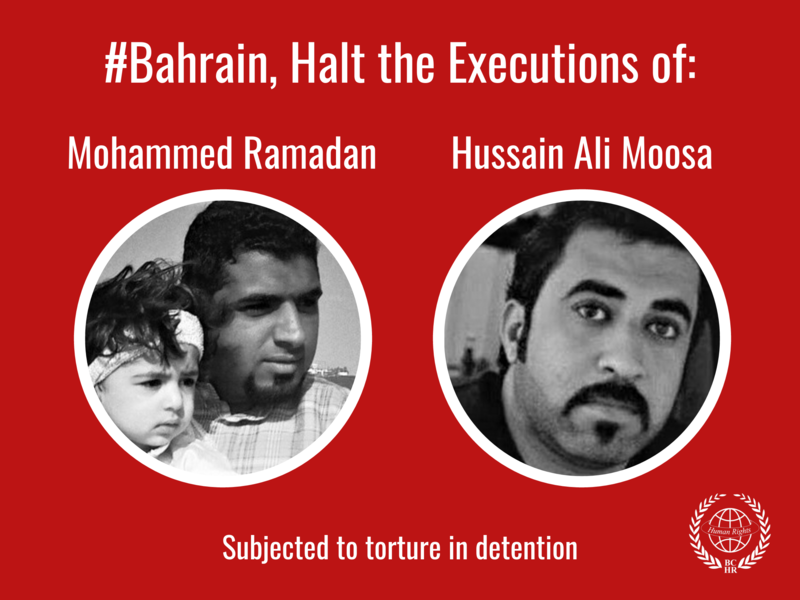 BCHR member Said Yousif AlMahafdha was able to see Nabeel for a moment by was then asked by Minister of interior officers to leave immediately.